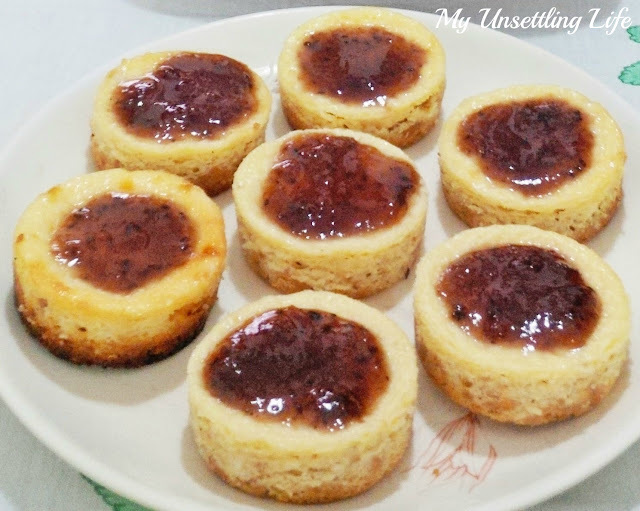 For this Christmas I got requested to make mini cheesecakes. And so I did, but with my twist on it! Preheat your oven to 180 degrees Celsius (350 Fahrenheit). 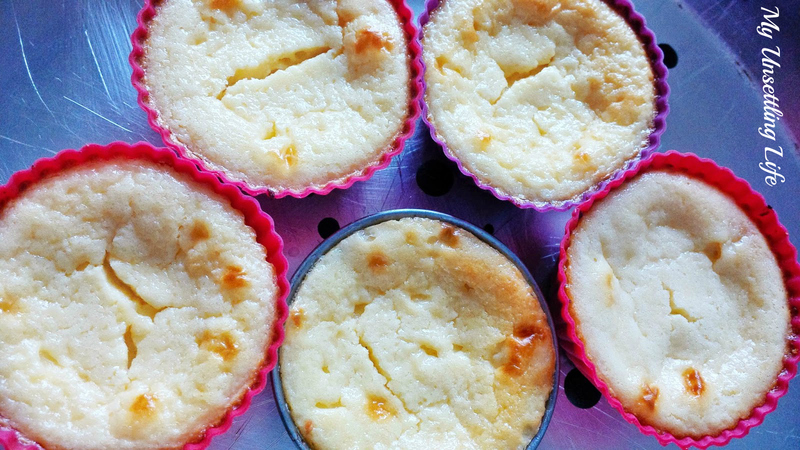 Butter your muffin tins. 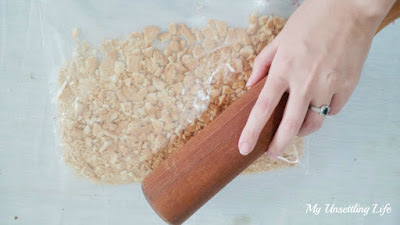 In a zip lock bag put your biscuits, close it up and smash your cookies with a rolling pin until flour like or crumby. 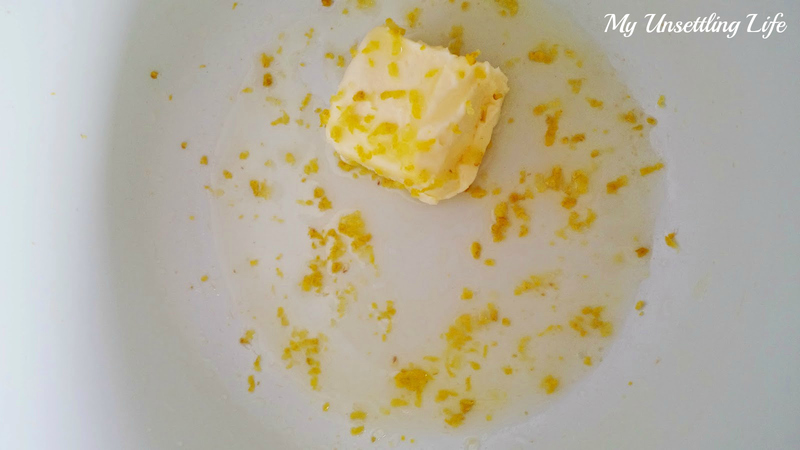 Add soft butter to your crumbs, juice of a lemon, and some lemon zest. Mix it up, it will become a sticky dough thing. Press a layer of your crumb mixture on the bottom of your tins. Set aside. In a bowl, add the cream cheese and beat it for a minute. 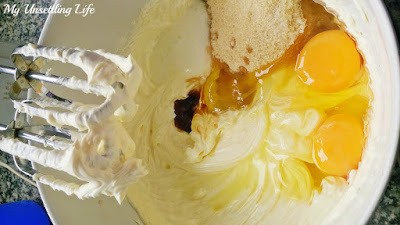 Add the sugar, salt, eggs, sour cream, and vanilla extract. Mix it up on medium speed for about 3 minutes or until it becomes smooth and creamy. 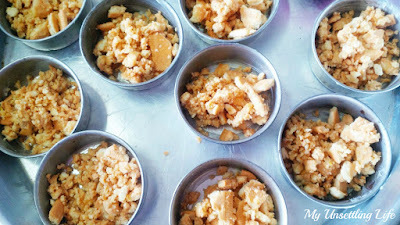 Remember to scrape the sides of the bowl since some good stuff may be stuck there. Scoop the cream cheese mixture in your tins leaving a few millimetres free for it to grow. (It grows very little, and it shrinks back down, so the amount you put is about what will look like at the end). Put them in the oven for 20 to 25 minutes. The sides of it will be lightly brown and the centre soft. Leave them to cool at room temperature for about 20 minutes. Then put them in the fridge to set for 3 to 4 hours. After take them out of the tins, they come out very easily. And decorate them with a jam of your liking. I used blackberry jam! 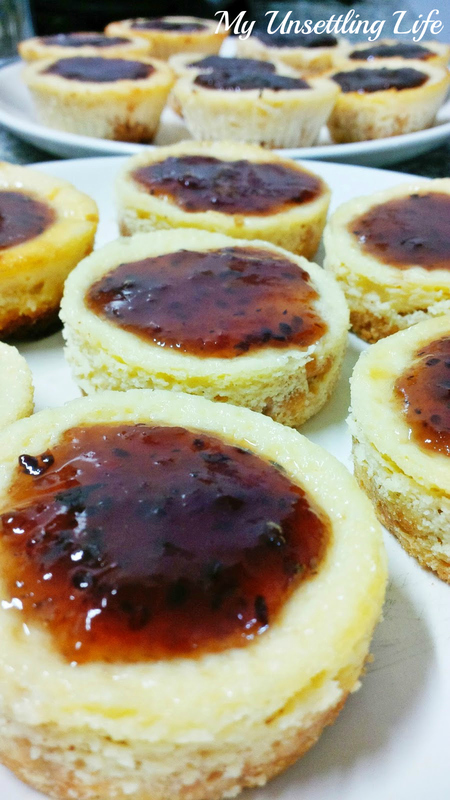 Mini cheesecakes are a fab idea and I like your use of jam too - I made loads this summer and it needs to be used. Merry Christmas.